Tennessee Governor-elect Bill Lee on Thursday announced the appointment of Penny Schwinn to lead the Tennessee Department of Education. Additionally, Ms. Schwinn oversaw the development of open-source instructional materials to empower teachers with high-quality resources for teaching. Prior to serving in the Texas Education Agency, Ms. Schwinn was the chief accountability and performance officer for the Delaware Department of Education where she led efforts to conduct a testing audit, which led to nearly a 20 percent decrease in student testing time. A former teacher, Ms. Schwinn taught with Teach for America (TFA) from 2004-2007 with work in Baltimore City Public Schools and Los Angeles. She is also the founder of Capitol Collegiate Academy, a charter school that serves low-income students in South Sacramento. Officials with Professional Educators of Tennessee said, "Education is the key to our economy. Professional Educators of Tennessee looks forward to continued collaboration with the Lee administration to strengthen our state’s education system. Teachers must feel valued and students must be the priority. We have met with Penny Schwinn and look forward to getting to know her better and to collaborate together on public education. Schwinn shares Governor-elect Bill Lee’s commitment to support teachers, reduce our testing burden, and improve the working environment, including more competitive compensation. We can change the trajectory of education for children and families when we support quality education and those on the frontlines. It will take all of us together, and we need Commissioner Schwinn to be successful in her new role. We would also like to thank Lyle Ailshie for serving as interim commissioner and hope that he will continue serving the state at the Department of Education." State Collaborative on Reforming Education (SCORE) President and CEO David Mansouri said, "Penny Schwinn has a track record of making decisions based on what’s best for students and innovatively tackling the kinds of challenges facing our state. "Tennessee educators need deep support, and Dr. Schwinn has walked in their shoes as a teacher and leader at the school, district, and state levels and in traditional, public charter, and state-led turnaround schools. Tennessee must give students with the greatest needs a great education, and Dr. Schwinn has passionately and effectively championed these students throughout her career. Assessment delivery must become first in class, and Dr. Schwinn has experience administering assessment programs in two states. "Dr. Schwinn has spent her career in the trenches working for kids, showing through words and actions that she is driven to prepare all students to find their routes to success after high school. We welcome her to Tennessee." 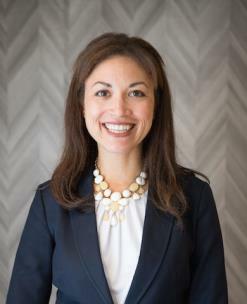 Tennesseans for Student Success President and CEO Adam Lister said, “Congratulations to Penny Schwinn as she is named Tennessee’s next Commissioner of Education. Over the last eight years, Tennessee experienced historic gains in public education, and the next Commissioner will have an opportunity to continue to advance the policies that drive success for all students in Tennessee’s classrooms. The Tennessee Medical Association President Matthew L. Mancini said, "The TMA congratulates our member Dr. Lisa Piercey for being named the 14th commissioner of the Tennessee Department of Health. "Governor-Elect Bill Lee made a great choice in appointing a physician leader with a range of experience in private practice and healthcare administration at one of the largest independent hospital systems in the state. Dr. Piercey’s deep Tennessee roots, clinical and business acumen make her uniquely qualified to lead the governor-elect’s effort to make Tennessee a healthier place to live, work and play. Her emphasis on population health management, disease management and preventive medicine will be crucial to improving Tennessee’s public health status and helping Governor-Elect Lee fulfill his campaign pledge. "We appreciate Dr. John Dreyzehner’s steady leadership during the past eight years and look forward to working with Dr. Piercey on the most important healthcare issues facing our great state."